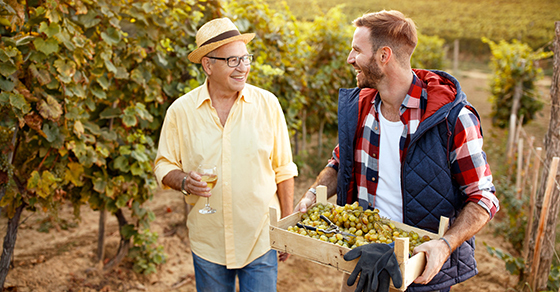 For many people, a family-owned business is their primary source of wealth, so it’s critical to plan carefully for the transition of ownership from one generation to the next. The best approach depends on your particular circumstances. If your net worth is well within the estate tax exemption ($11.18 million for 2018), for example, you might focus on reducing income taxes. But if you expect your estate to be significantly larger than the exemption amount, estate tax reduction may be a bigger concern. 1. IDGT. An intentionally defective grantor trust (IDGT) is an income defective trust. As such, it can be a highly effective tool for transferring business interests to the younger generation at a minimal gift and estate tax cost if your estate exceeds the gift and estate tax exemption. An IDGT is designed so that contributions are completed gifts, removing the trust assets and all future appreciation in their value from your taxable estate. At the same time, it’s “defective” for income tax purposes; that is, it’s treated as a “grantor trust” whose income is taxable to you. This allows trust assets to grow without being eroded by income taxes, thus leaving a greater amount of wealth for your children or other beneficiaries. The downside of an IDGT is that, when your beneficiaries inherit the business, they’ll also inherit your tax basis, which may trigger a substantial capital gains tax liability if they sell the business. This result may be acceptable if the estate tax savings outweigh the income tax cost. 2. Estate defective trust. If the value of your business and other assets is less than the current estate tax exemption amount, so that estate taxes aren’t an issue, you might consider an estate defective trust. Essentially the opposite of an IDGT, an estate defective trust is designed so that beneficiaries are the owners for income tax purposes, while the assets remain in the estate for estate tax purposes. This technique provides two significant income tax benefits. First, assuming your beneficiaries are in a lower tax bracket, this strategy will result in lower “familywide” taxes. Second, because the trust assets remain in your estate, the beneficiaries’ basis in the assets is “stepped up” to fair market value at your death, reducing or eliminating their potential capital gains tax liability. Determining the right strategy to implement when transferring ownership of the business to heirs depends on the value of your business and other assets and the relative impact of estate and income taxes. Also keep in mind that the gift and estate tax exemption is scheduled to drop to an inflation-adjusted $5 million in 2026. Contact us with any questions.